Music making is a passion and it’s absolutely not a big deal these days with hundreds of apps available on the internet. Yes, there ample free apps available that can help you churn out a professional quality feet thumping piece without spending a dime. From making full tracks on your smartphone or tablet, or simply using an exclusive hardware sequencer instead of a computer, internet is the best source that can help you make music digitally. That being said, there is still no alternative to a PC where you can download and install a music making software or DAW (digital audio workstation) and record music, organize and mix complete tracks directly from the desktop, seamlessly. Bonus – when done in the right way, these tracks are of release quality. Windows is the most used platform in the world and so, if you are hunting for the best Windows software for making music, we have the ultimate list for you in this post. While some are completely free to download and work with, some offer the free trial version before you invest in the Pro version. So, read on to find your pick..
Audacity is an open source software that’s one of the most popular music editors with already millions of downloads. This cross-platform app works with not just Windows, but also with MacOS and Linux. 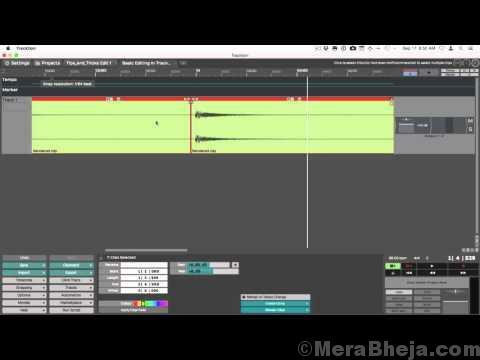 This program allows you to not only record music from several different sources, but also post-process nearly any type of audios. With the help of this software, you can also add different effects to your music, fine-tune the pitch, bass, and treble, and even assess tracks using its tool for frequency analysis. Your tracks are presented as editable waveforms by the software that can be edited by the users. As a user you can also edit the music track using the cut, copy, and paste features or even use its wide range of added plug-ins to improve the series of effects and the audio assessment. The program comes with an in-built support for plug-ins like LV2, LADSPA, and Nyquist. The Live Lite 9 version of Ableton is a restricted version of the program, however, it’s one of the best software for music making out there. The best part about it is that it’s free to download and is compatible with both Windows and Mac. With the paid version you get an additional 4GB of sounds. What’s amazing is that, you get upto eight recording tracks for free if you choose not buy the upgraded version. It also comes equipped with a range of effects and tools that help you to make high-quality music tracks. You can also add MIDI tools like keyboards with it. It can be easy to use if you already know how the music making programs work. 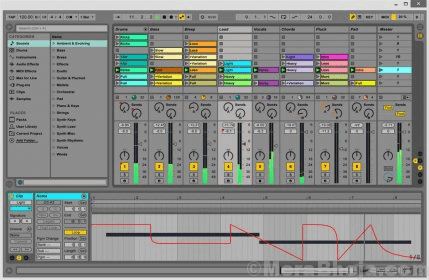 Ableton is an industry level software that’s used by many musicians and producers to create music and record. 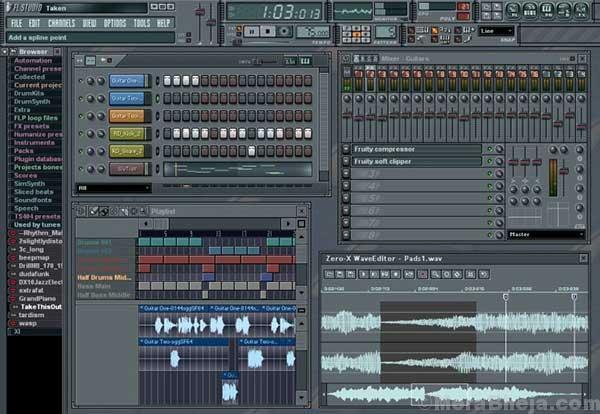 If you are a first-timer, looking to start with a music making software, FL Studio is the best option for you. It’s been in the scene for quite some time now and is one of the most popular DAW software till date. From sound correction, cut-paste, or stretching to pitch shifting or the works, it’s got all the usual protocols you could think of. The biggest plus point of this program is its interface which is especially designed to suit the beginners. While you can refer to the YouTube video tutorials for any explanation required on any feature, you also get 30 synth software along with it for out-of-the-box usage. So, for those who have just bought a controller and want to try out some sounds to start with, you do not need to spend those added bucks. Whether you want to record in it using microphone, do the usual editing and mixing, or use the MIDI keyboards, it fulfils all the essential requirements of a music software. Bonus – it comes with an extremely user-friendly interface. While it may not be the leading software in the category with a dated looking interface, it still takes pride with its strongest features like automatic audio time-stretching and pitch shifting. Bonus- it also features the MIDI now. Yes, it may not be the best performing software on the list, but Magix Acid is definitely fast, competent, and user-friendly. It’s been recently owned by Magix and the version 8 is about to be launched that indicates towards a much-needed change with an all-new user-interface. It’s also touted to come up with 64-bit and VST3 support. 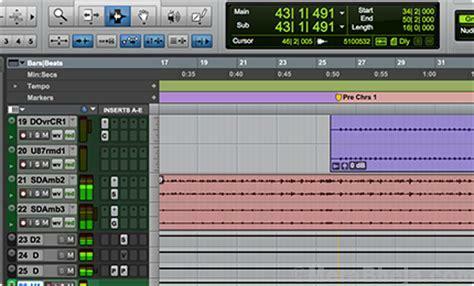 Tracktion T6 is a two years old program that still boasts of loads of features. It’s a software with a simple design making it easy to understand and use. The interface is a workspace where you get all that is required in a single window. The workspace helps you avoid the inconvenience of jumping to various screens. The best part is, that every section is flexible enough and so, it helps you to fine-tune it according to your workflow. Moreover, whichever specifications you have selected elsewhere, the bottom panel turns into screen. With its more established DAW system, it certainly has an exclusive appearance. As bonus, the program comes with unending range of audio and MIDI tracks, however, it’s based on the hardware potential. Yes, it also supports several plugin formats such as VST, Audio Units, and more. When looking for a free DAW software, DarkWave Studio is definitely worth a try. It’s not only free of cost, it’s also perfect for the Window users as it supports all platforms from XP to 10. What’s interesting is, it does not require much space for storage and can be easily discovered and downloaded online. 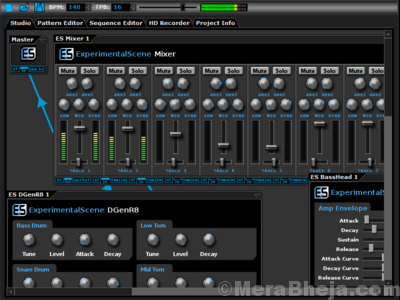 Among its many features are the Sequence Editor, Virtual Studio, Multitrack Hard Disk Recorder, and Pattern Editor. While the Pattern Editor helps you select digital music patterns and even edit them, the sequence editor enables you to arrange patterns to mix up the track patterns and any arrangements together. You can explore the recording options under its HD recorder tab. It also allows you to choose from the multiple plug-ins (19) that can help you add virtual effects to the music tracks. Those looking for a free version of this efficient program can download their freeware edition which is Studio One Prime. For advanced features you can purchase the upgraded version that’s specifically for artists and professionals. 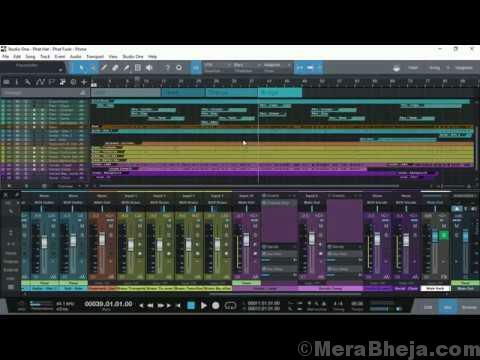 Studio One is the basic version out of all which you can add to your software collection using any my.presonus.com account. The system requirements include a minimum of 4GB RAM and 30GB of storage within, and it works with the latest versions of Windows. Despite lacking the advanced features in comparison to the upgraded version, the free version retains the same instinctive interface with drag and drop feature that helps you to create fresh tracks and even add effects. The USP of Studio One Prime is that it comes equipped with endless audio files, FX and virtual tools. Not just that, it also allows you to add nine local audio effects to your music pieces. Some of the mixing and control features that are retained in the free version are easy chain side routing, control link MIDI mapping, and latency compensation. 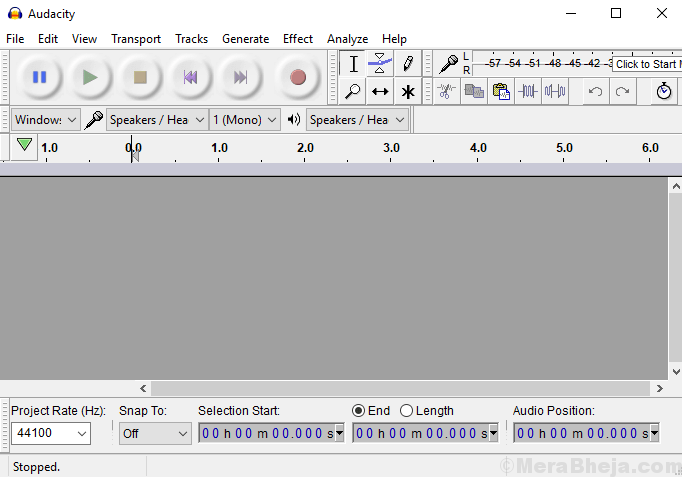 Bonus – the freeware also offers multitrack MIDI and multitrack track change editing instruments. Overall, even being the curtailed version, the freeware still retains most of its essential tools. Those looking for tools especially designed for mixing music the professional way, Avid Pro Tools is just what you need. This advanced yet simple tool helps you to excel the industry standards. While it offers the usual facility to create, record, mix, edit, master, and more, it also comes with the advanced version (Avid Audio Engine) that’s loaded with a super speedy processor, 64-bit memory, latency input buffer of its own that helps during any delays, and an innate metering. Time-stretch to alter the tempo, or Elastic Pitch which is somewhat similar to the autotune that helps rectify harmonies are among the other features to name a few. What’s more? It also comes packed with 70 effects and plug-ins, and other features like channel stripping, compressors, EQ’s reverb, and so on. It’s a fantastic piece of software that works perfectly well with Windows, Linux, and OS X. The version 5 comes with an all revamped graphic user interface that’s sorted with tabs. Ardour also sports loads of new features that efficiently assist you while making any alterations to the tempo, mixing, writing scripts, or using the plug-ins. The biggest plus point of this DAW software is that it’s free and open source, while the subscriptions start from as low as $1 month. Although it’s a curtailed version of AmpliTube 4, it’s still a completely operational application for guitar rig modelling. There are 24 models in the free version and there’s a lot in the offering for the guitarists to record into their laptop directly. The tones offered by AmpliTube are genuine and there’s an amazing standard of customizations available which includes the microphone selection and replacement. The biggest bonus however, is the custom shop feature. But, if you are looking for more features, you will have to purchase the paid version. for additional stompboxes, amp models or cab sims. One of the best multi-platform music making software around, Linux Multimedia Studio is also compatible with Windows and Mac. It’s a free and open source program that works just perfect for all levels of music creators. The program comes packed with five editors and a wide range of synthesizers that can further fine-tune your music tracks. The tracks can be further imported to both MIDI and Hydrogen Project files along with the Song Editor. Moreover, the application also supports plug-ins like VST and LADPSA that can be mixed with several additional effects into the tracks. Hydrogen is another open source music making software that’s more of a digital drum program that sounds like a drum. The Windows version is in the beta stage. It comes with a GMkit that’s pre-installed and includes tools like Pedal HH and Cowbell drum kits, Jazz, Snare Jazz, Ride Rock, Ride Jazz, Snare, Stick, and more. You can also get access to its endless patterns through the pattern sequencer and can even link patterns together in a music track. The Mixer offered by the program is another useful tool that can help you to tune the drum volume and also add some added special effects. From importing and exporting song patterns into tracks to organizing different drum audio effects on a file to overlap them, there’s a lot that Hydrogen offer its users for free. Although a not so widely known software, Propellerhead Resaon is indeed a stable offering in the category so far. It’s a compact system with drag and drop interface, is fast enough, and of course, offers an exceptional workflow for middle to semi-pro range music makers. It comes with a strong mixing console and makes for a great DAW software for guitar recordings or bass as it comes with amps and speakers. Additionally, it’s efficient in cutting and splicing music files automatically. Bonus – it supports all MIDI hardware. While there are umpteen such music making software around that one can use for creating a professional piece, the above listed programs are definitely for those who want to create a masterpiece. So, make your choice and rock the stage with a brilliant sounding track.